What: We predicted it was coming. Not since Mr. T’s heyday have gold chains been in such demand. But if Reese and Jessica can wear it without looking the least bit moronic or too smugly ironic, then why canâ€™t we? Huge gold necklaces are awesome because they are supposed to symbolize wealth and status but often come off as tacky and tasteless. If you ask me, they are replacing the classic white Hanes undershirt as the ultimate item to blur lines between white trash and high class. Get Yours: Put your own link in the chain trend by fearlessly donning that Midas touch. If youâ€™re a good scavenger, you might be able find some golden (but perhaps not authentically golden) vintagey goodies at thrift stores for very, very cheap. Get instant gratification and pick up this Rosa Flores Double Link Chain necklace from Nordstrom.com (75.00). 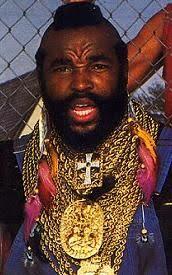 Trend Deathwatch: Hate it before it’s over and pity ‘da fool who piles on too much gold.